What a bow and arrow can teach you. I started shooting a bow at a young age. I’m not sure I remember the first time. Dad had a black longbow for us to shoot early on. 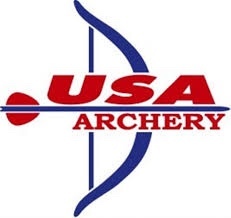 The first lessons were just to get the bow pulled back all the way and get the arrow to hit the target. When we were older and strong enough, we graduated to an old Bear recurve. And if we were serious enough, we could save up for a compound. I shot quite a bit as a teenager. After several years off, and after I graduated college, my husband Doug and I started shooting competitively. Picking up a bow after all those years was like riding a bike. And then just recently, after probably 15 years away, I picked up the bow yet again. 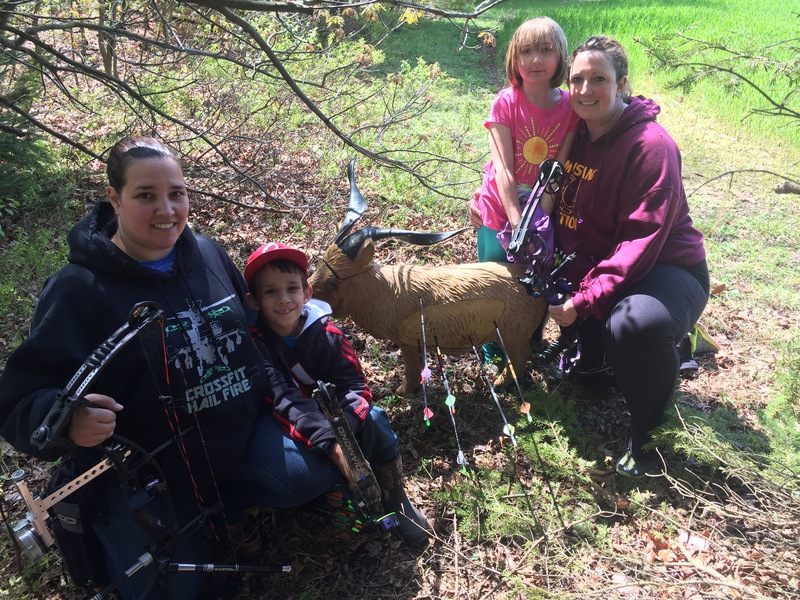 Love of archery is like one of those dormant viruses that creeps up every now and then. Except instead of making you feel like lying in bed all day, it makes you want to get outside with a bow in your hand! Looking back, I can see I’ve learned many valuable life lessons from archery. The first was to take instruction patiently. Sometimes it seemed Dad would say the same thing for each shot, and yet I couldn’t execute. I could choose either to keep trying to do what he was saying, or to decide he didn’t know what he was talking about. I wasn’t always willing to take instruction and guidance from my Dad. But when it came to archery, the evidence was all around what a great teacher he was. Dad was a really good shot. But he was even better at teaching others, setting up bows, critiquing form and follow through. Most of the people he taught ended up beating him by a few points. No skin off his back. He was glad to see them develop the passion for the sport. But in order to learn, it was critical to realize that his perspective was different than mine. He could see things I couldn’t see or feel. I also learned that consistent practice is key to success. Archery can be a very frustrating sport. Even little changes can send your arrows all over the target, or off of it completely. I learned to push through those frustrating times when I wasn’t shooting consistently. Those times often came and went, with the frustration peaking when I felt like I was doing the same thing each time, but seeing arrows all over the target. Sometimes it seemed to be equipment related, but usually it was human error. Often brain error. The key is to not take those times so seriously. Just keep going. Hours and hours of practice pay off. Anyone who shoots a bow seriously knows that every little thing matters. Slight adjustments to the sight. The alignment of the rest. The fletching of the arrows. Where your hand anchors. 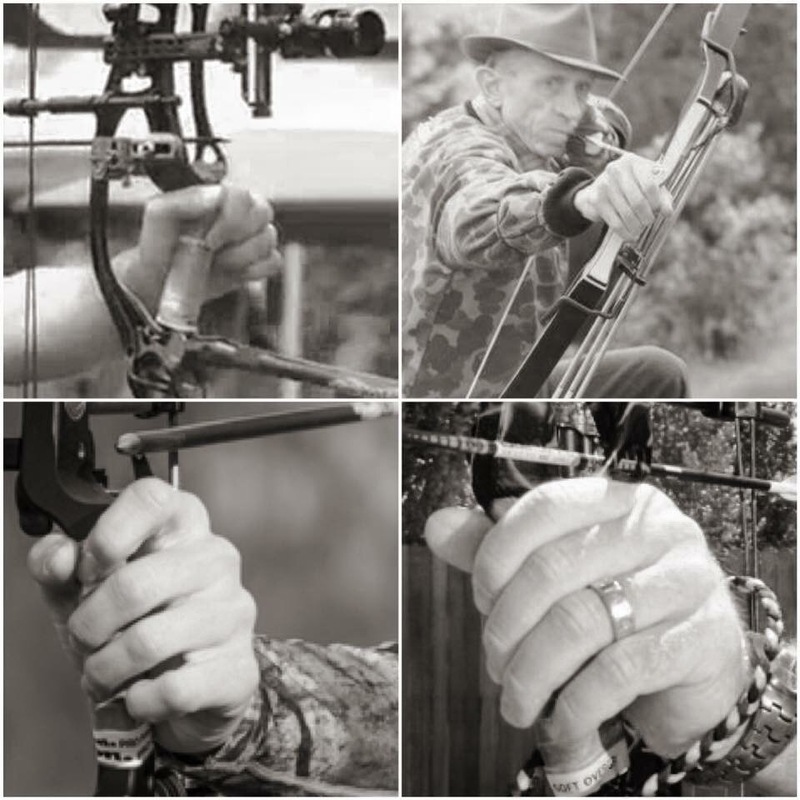 The position of your bow hand. Breathing. The follow through after you release. It all matters. A lot. Making corrections to shoot better may not mean big adjustments. It may be just one little thing. And then once you have some consistency and success, you have to remember what that felt like. It’s called muscle memory. Doing the same thing over and over, arrow after arrow. Hit that same position over and over. Same muscle tension and position. It’s what allows someone who’s been away to pick up the bow and shoot a nice group right off the bat. And then when another round is not so good, we go back to those slight adjustments, and experience tells us it’s probably a minor tweak that’s needed. Finally, archery teaches you the value of focus and concentration. In high pressure situations, in competition, in stressful and challenging times, it’s hard to stay focused. We tend to question everything, get all bugged out, mentally distracted. You’ll never be able to get those little adjustments made until you get your thoughts corrected first. You have to know that you have good coaches, have good equipment, have learned the fundamentals, and can do what you’ve practiced over and over again. It’s kind of funny, that concentration and focus isn’t on any one thing in particular. You can’t possibly think about all those little details for every shot. You just focus on concentrating. Concentrate on focusing. One or the other. Or both. Funny thing – those lessons carry into other sports and situations, and into life in general. If you aren’t teachable or coachable, if you refuse to take instruction, how will you ever learn anything? We aren’t willing to learn if we think we’ve got all the answers. If you want to get to be good at anything, you need to practice it. To develop any craft, any skill, any sport, practice makes perfect. Well, practice makes better. Any coach will tell you he’d rather the kid with mediocre talent who’s willing to practice hard than the head case who thinks practice is a waste of his time. The details in life matter. If what you are doing has value, you need to take care of the small stuff. And you have to keep your head in the game. Archery taught me all of this, and I sure use these lessons more often than not.